Circulating Now welcomes guest blogger Sanders Marble, PhD. Dr. Marble is Senior Historian in the U.S. Army Office of Medical History and a 2018 NLM Michael E. DeBakey Fellow in the History of Medicine. Today he takes us along on a diverting trip into Army medical history. Recently, during my historical research at the National Library of Medicine, I came across a publication entitled “Research and Development Problems Guide.” Although it was not immediately relevant to my current research, I was curious. I requested it to see what problems the Army Medical Department (AMEDD) had in mind in 1961. In this guide, the military was asking civilian industry and academia to bring their expertise to bear on solutions to problems in certain areas of military endeavor—part of the mobilization of science and technology that had been so effective in WWII, most notably with the Office of Scientific Research and Development. Perusing the book in the History of Medicine Division Reading Room, I discovered that there was an interesting range of things AMEDD identified as problems to explore. Some of these areas have seen progress—we’ve been developing improved skin adhesives for many years with great success. Some have disappeared—with digital X-rays, we no longer need a quick way to develop X-ray film. Some still sound like a great idea—each summer brings wishful thinking about a safe oral insect repellent. One that caught my eye, because it’s a perennial problem, was the evacuation of casualties. The past fifteen years have seen many servicemembers successfully evacuated after being wounded, and most of those have been flown back by MEDEVAC helicopters. But it’s true that MEDEVAC helicopters are as vulnerable as any other helicopter, and an enemy with sophisticated air-defense capabilities could make MEDEVAC helicopter flights dangerous. The Army continues to approach the problem in various ways—training combat medics to provide extended care before evacuation, improved medical software systems, considering the use of drones to fly the wounded back to treatment. Well, in 1961 the Army was also looking at how to quickly evacuate patients. 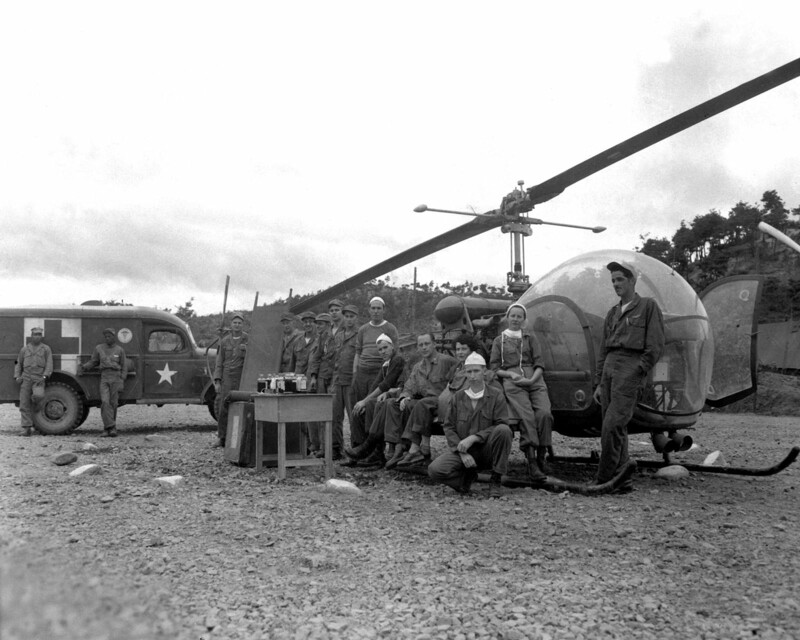 Army terminology being what it is, this was phrased as, “AMEDS PROBLEM 51–Develop a rapid means of evacuation possibly without the use of evacuation personnel.” Helicopters had proven useful in Korea, and were an important part of plans for the 1960s. But there was no certainty that helicopters would be available, or able to fly, in all circumstances. Additionally, the helicopters of the day had a quite limited range, while the Army was considering operations over 100 miles. If the destination hospital had to be close to the fighting, it would be much more vulnerable to artillery, air, or rocket attacks. All that added up to a problem. So, it was worth considering how to quickly move casualties from battlefield to hospital. AMEDD considered that if casualties did not need anyone to fetch them, or to accompany them, that would be even better, freeing up resources for other missions. Instead of flying MEDEVAC missions, helicopters could fly troops or supplies, and flight medics could be reassigned to ground units. And if the range could be increased, hospitals could be in a safe rear area (if any rear area could be expected to be safe in World War III). But I had digressed long enough—tracking down the outcomes of this problem’s call to action would be research for another day. But I wondered, as I returned the book to circulation, is it a coincidence “The Jetsons” started in 1962?